A group of three middle-aged women at the end of the line outside Washington Township High School yesterday were blown away that over 2,100 Porter County residents would stand in the freezing rain for over two hours to hear a Democrat speak. President Bush won Porter County by nearly 10% in 2004, though this traditionally-Republican area is now "increasingly moderate" said one woman. At the very front of the line were two members of the local steel union chapter. The two men wore "I'm Counting on Clinton" and "BUCK FUSH" t-shirts and buttons. One of them said the national Steelworker's Union had endorsed John Edwards. Though they both laughed at Edwards' swift exit from the campaign, one woman nearby didn't laugh, saying "he was the best we had—better than the two left now." Presidential politics in Indiana have a strange air about them; here there are more people, the campaign organization is, well...less organized, but there is a serious and focused tone that seems to fill everyone here that I never picked up on in New Hampshire, Iowa, and especially in Massachusetts. Indiana isn't Michigan—perhaps the most economically-devastated state in the county—but in many ways Hoosiers here have seen their fair share of unfulfilled promises and politics is far from a game. The sad reality of Northwest Indiana is that a state once among the manufacturing leaders in the United States has seen thousands of jobs and businesses move overseas. As a result, the economy here is still unstable and towns like the once prosperous Gary look like ghost towns as you pass them on toll-road highway across the state. Understanding Indiana's plight made me all the more disappointed to realize the extent to which the 2008 campaigns are pushing the limit on their trust with voters by creating false story lines at campaign events like the one in Valparaiso yesterday. It's a trend I first noticed at Obama and Clinton events in November and December of last year, and yesterday the Clinton staff once again passed out "handmade" signs to certain supporters throughout the grandstands inside the gymnasium. 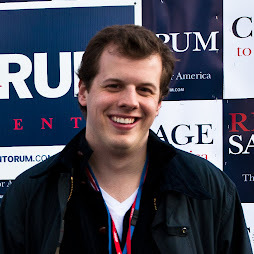 I once made the mistake of assuming a sign I had seen at an event in early January was real, and I wrote up a short blog post about it before learning the holder of the sign didn't create it. After scanning the room to see who was passed which signs, I made sure to avoid speaking with the holders of a handful of some very intriguing creations—"Real Men Vote for Hillary," "You Shouldn't Have to Pay to be Healthy," and a number of others. One sign did catch my attention though. 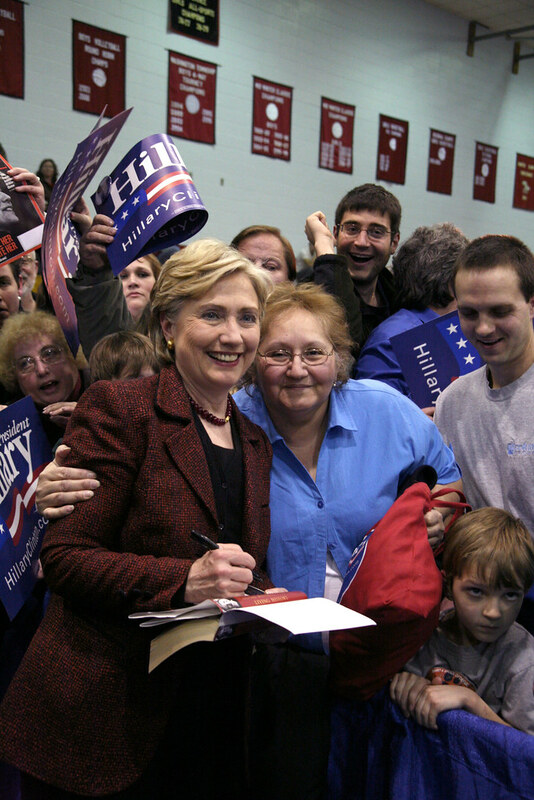 A young girl no older than four sat with her father in the back corner of the auditorium holding a sign decorated with crayon and pencil that read, "Hillary Supports US Steel." My father had worked for Inland Steel growing up, and the name US Steel has been part of the standard vocabulary of his stories. I recognized the name and went to talk to the family. I introduced myself and explained my familiarity with US Steel to the girl's father. My comment was apparently the first time he had heard of US Steel, as he replied "do you want me to make up a story about how I'm a steelworker?" he said, "They gave me this at the front door." I turned and walked away. For the first time I was bitterly upset about having been cheated again by one of these "homemade" signs. Hillary Clinton would go on to acknowledge the holder of the "Real Men Vote for Hillary" sign during her speech, and it drew tremendous applause. I still can't understand why, in a part of the country where the true stories you hear are inspiring, saddening, and deeply personal, stories need to be made up and thrust into the spotlight. This is especially true when I listened to Senator Evan Bayh and Senator Clinton speak. Bayh is a Hoosier by birth and a tremendously popular Senator, due largely in part to the work he has done in strengthening this part of Indiana. 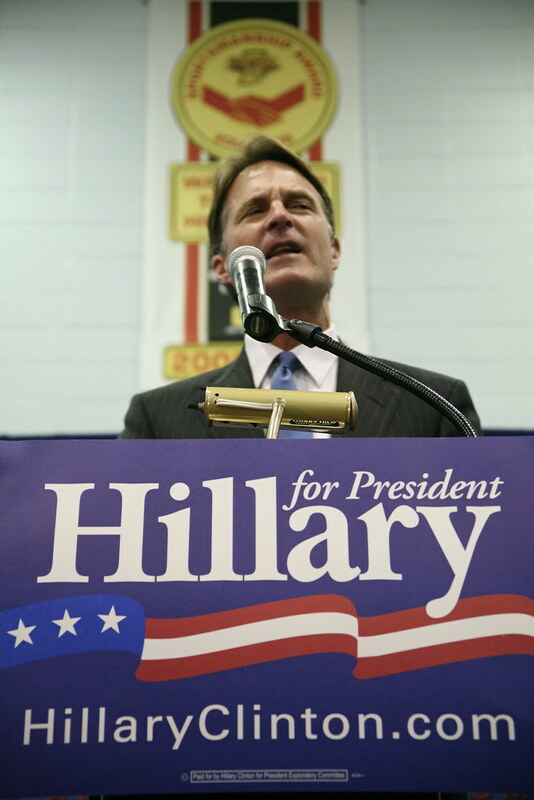 Hearing him talk I soon realized Hillary Clinton was lucky to have him on her side, not because her candidacy lacked credibility on economic and Mid-Western values, but because Senator Bayh only furthers Senator Clinton's strength in Indiana. I'm serious when I say that a Clinton–Bayh ticket might be able to shore up Indiana, Michigan, Ohio, and Pennsylvania for the Democrats—a tremendous geographic pickup that could do the trick in putting a Democrat back in the White House. 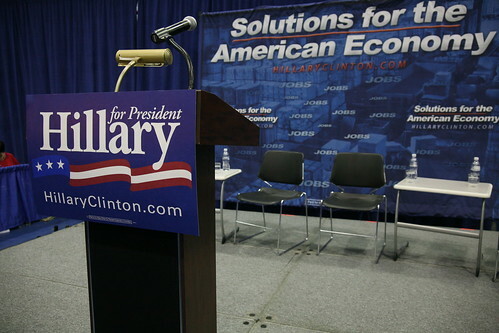 Hillary Clinton sure didn't feel like an outsider yesterday either. 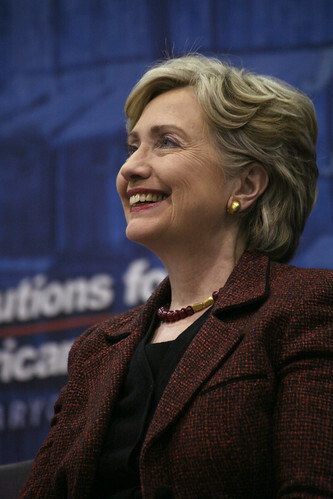 As Ms. Clinton told the story of Magnaquench—an Indiana magnet manufacturer that produced key technologies for precision-guided military weapons that was sold to a Chinese company—the gymnasium fell silent. Families, men, and women sat up in their chairs or stood as far as the back wall of the gym and listened even if they couldn't see the stage. 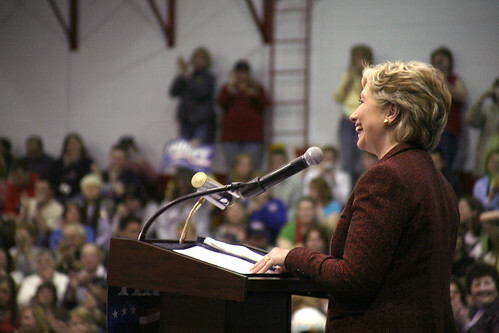 Clinton's words connected with this audience in a way I haven't seen a politician reach out to a crowd before. "We're going to do everything we can to start to turn things around here" and "we're smart enough to be able to figure this out"; Clinton didn't sound like a "Washington politician." Senator Clinton and Bayh joined the entire gymnasium (including some members of the press—a rare occurrence) in applauding a woman who was laid off by Magnaquench when she finished speaking. Senator Clinton's words still ring in my ears: "did anybody just stop and think, we need someone in the White House next January who's going to remember Magnaquench." After being in Indiana and having seen Detroit and much of Michigan today, the Democratic nominee (as well as the next President) has a responsibility to help revitalize the Midwest, and if that involves remembering Magnaquench, then all the better. The Clinton Campaign Listens to Vargas2040! !